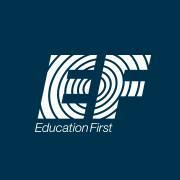 EF Explore America shares America’s history, beauty and culture with teachers and students from across the country. With 50 years of travel expertise, our tours allow travelers to truly experience the world around them and watch as their lessons come to life. We offer over 50 itineraries across North America. Our tours visit sites and cities from Washington, D.C. to Los Angeles! We also offer tours to historic Canadian cities and beautiful Puerto Rico.